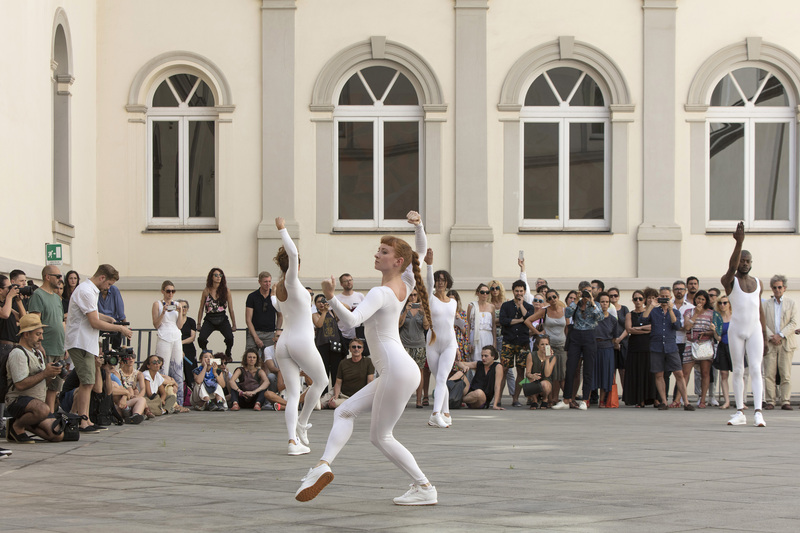 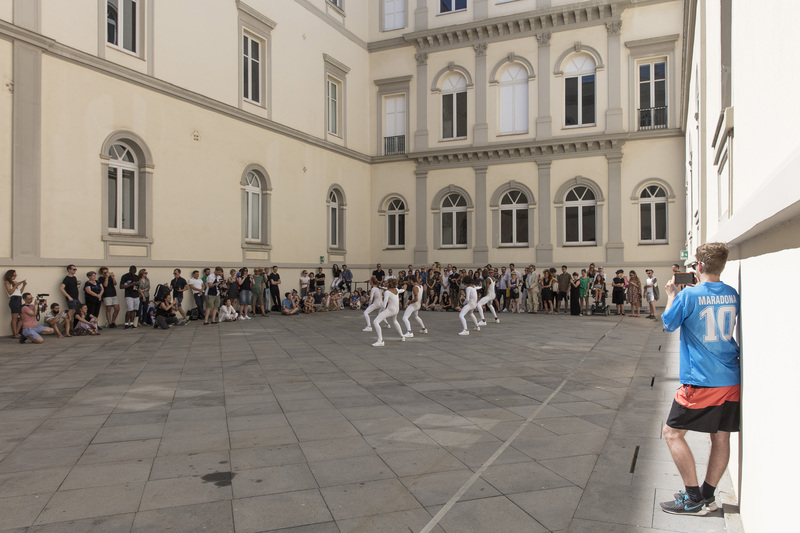 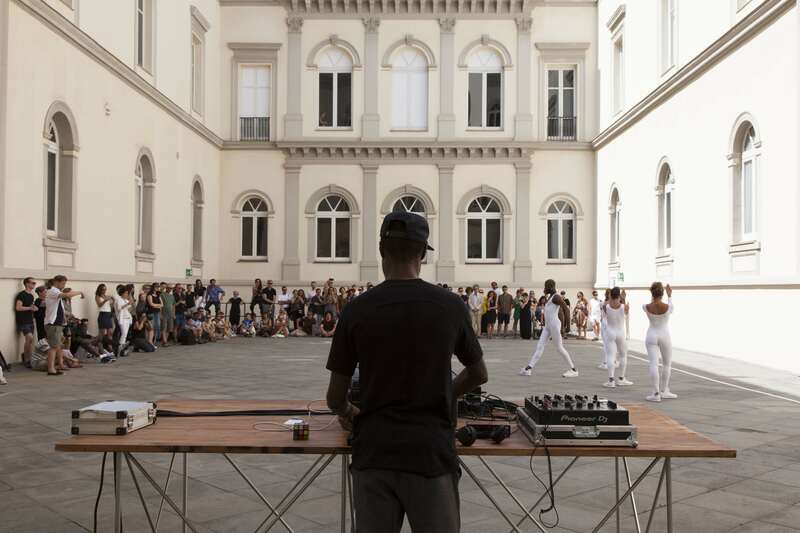 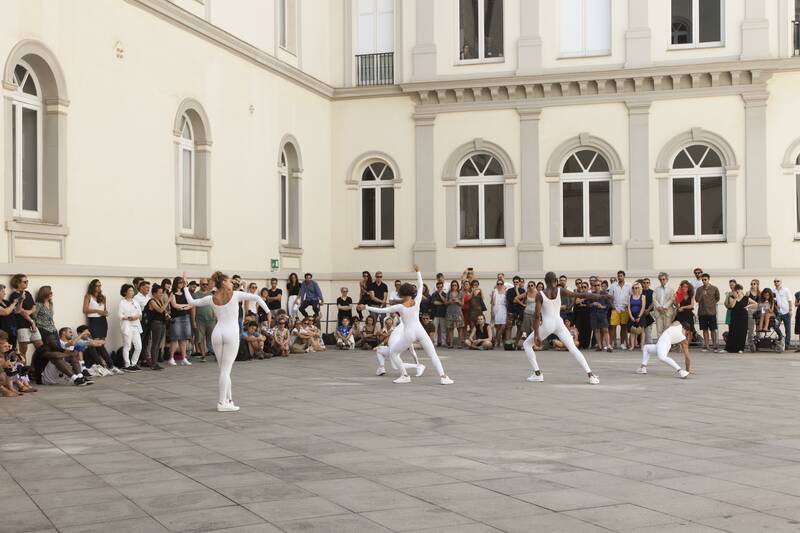 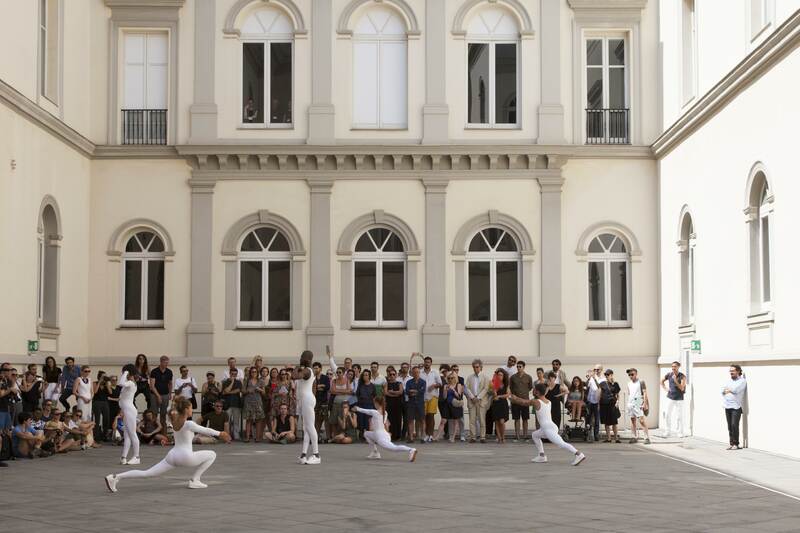 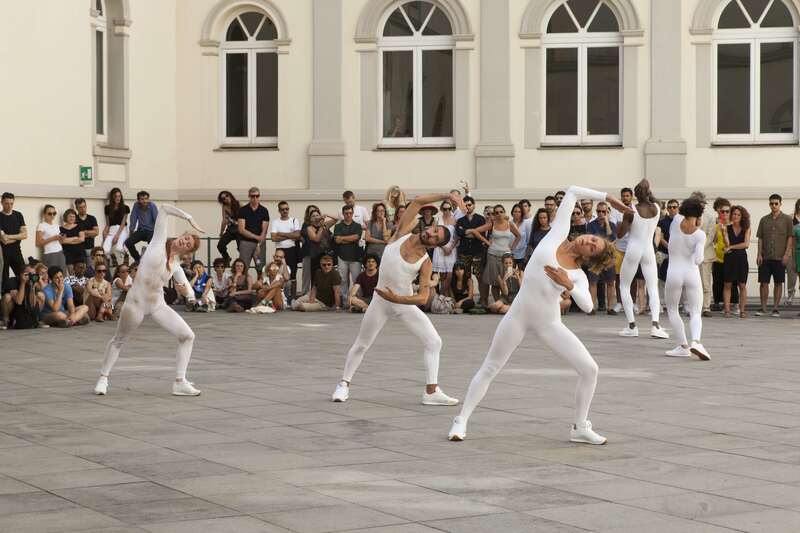 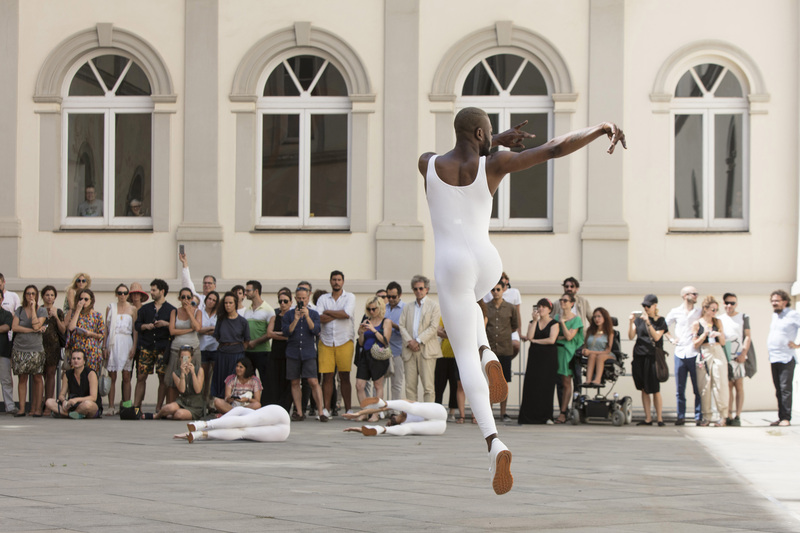 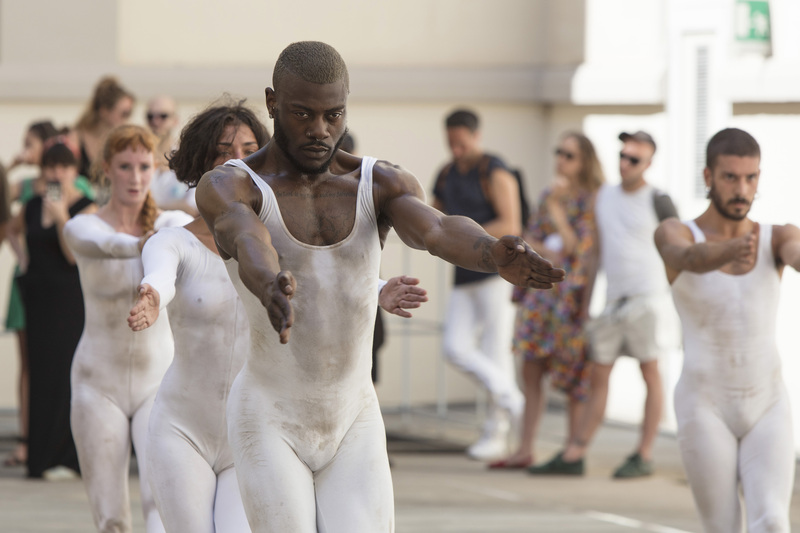 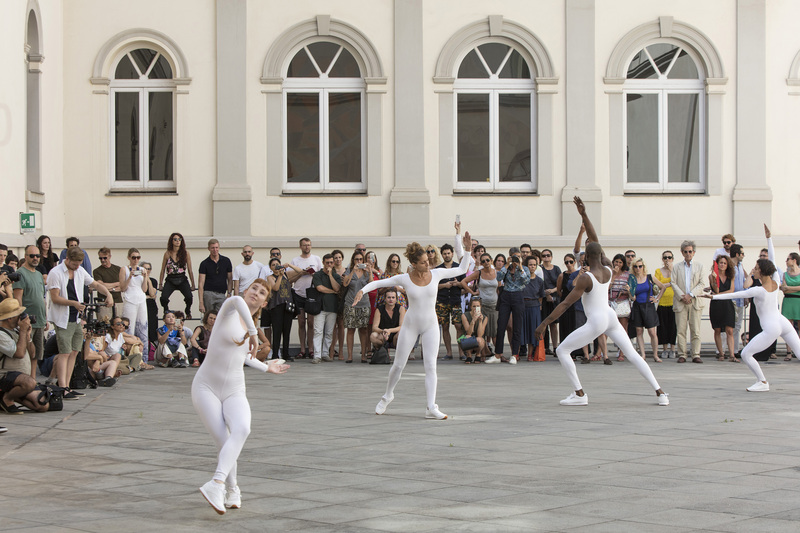 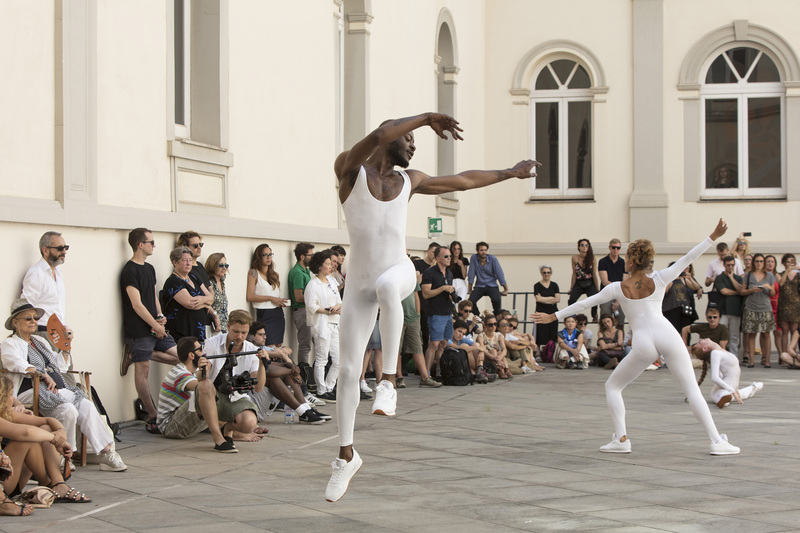 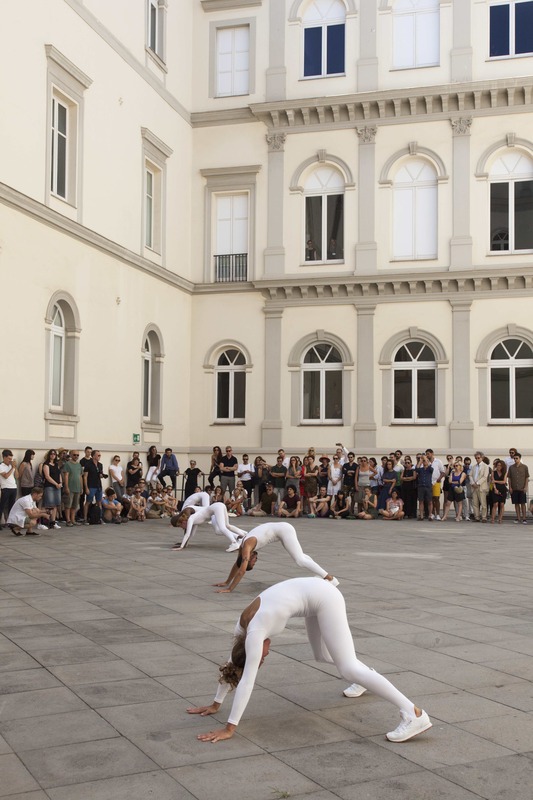 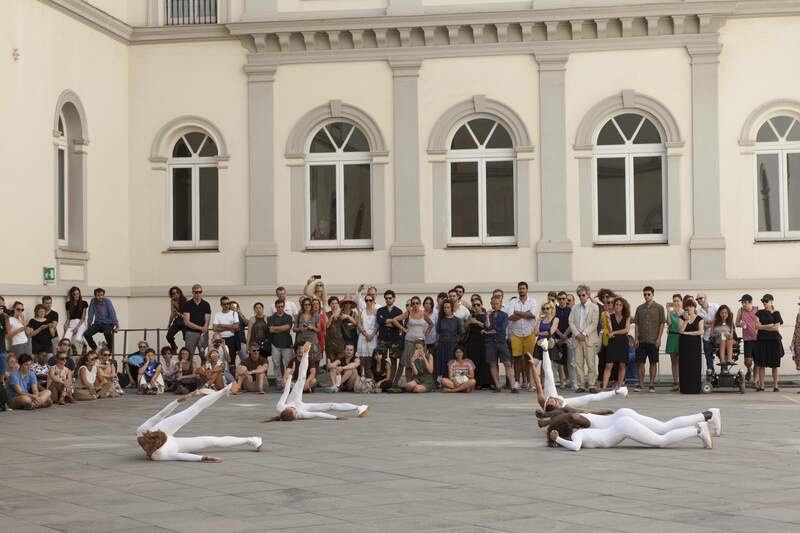 On Friday 14th July, our second and last day on the mainland in Naples, Eddie Peake presented the first three variations of his new performance, To Corpse. 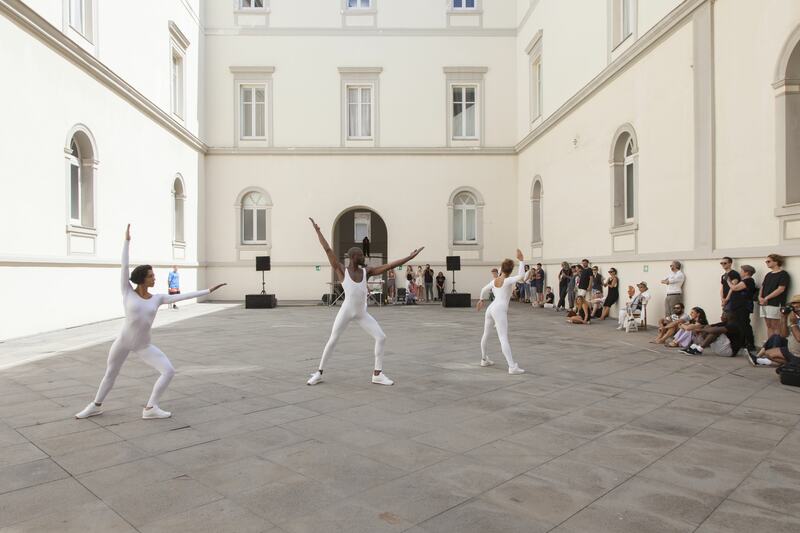 Challenging the torrid Neapolitan sun, we gathered in the courtyard of Museo MADRE, for the first iteration of the work. 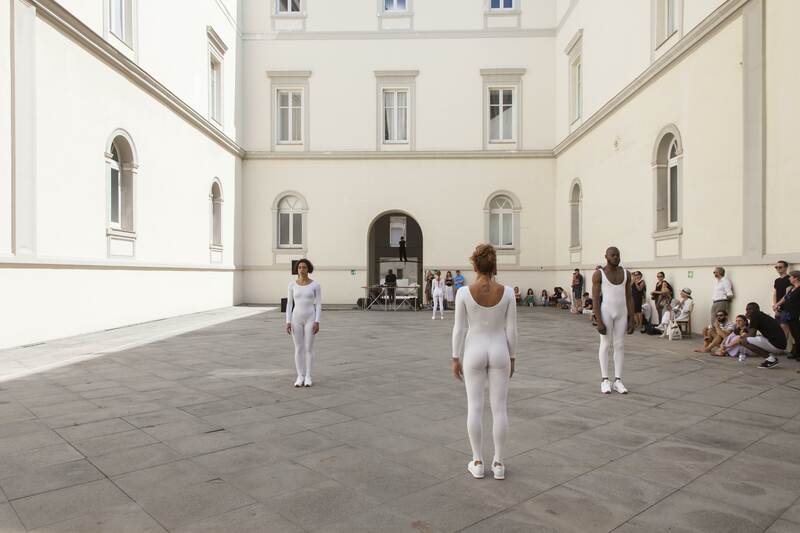 The five dancers (Kieram Corrin Mitchell, Valeria D’Antonio, Emma Fisher, Sara Lupoli and Francesco Russo), choreographed by our artistic leader, engaged the audience in stages of alternated intensity, an ascendent crescendo followed by an abstract pacification and then again, by an explosive climax… every movement precisely aiming to describe those moments of transcendence from one shape to the other.